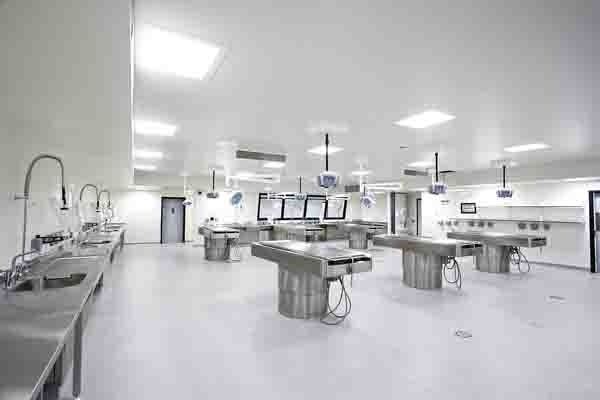 The Sheffield based manufacturer of post mortem and laboratory dissection tables has recently completed the installation of 5 new tables and 11 new tables at Peterborough City Hospital and the new South Glasgow Hospital Laboratories Building respectively. 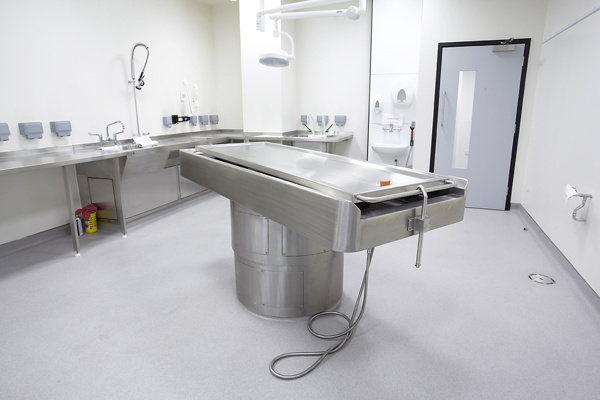 Both sets of tables are height adjustable downdraught tray transfer design limiting the amount of manual handling done by the mortuary technicians. 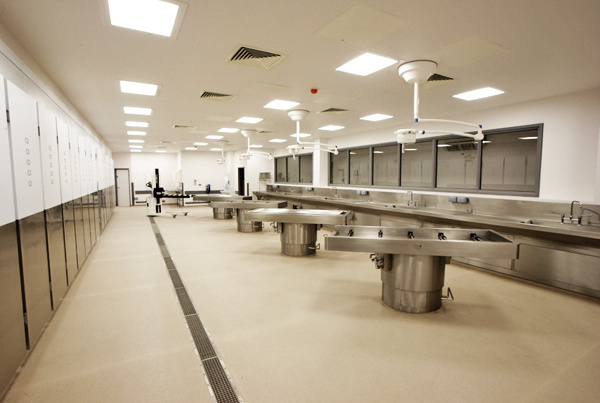 The contracts also included the supply of 16 new downdraught dissection tables to complement the autopsy stations. The Glasgow complex represents the largest self-contained laboratory facility of it’s kind in Europe and has separate rooms for high risk, forensics, paediatric and homicide as well as the main PM room. The body stores, manufactured and installed by Milby Coldroooms hold 300 cadavres. Peterborough has 4 tables in the main PM room and a fifth table in the isolation room.